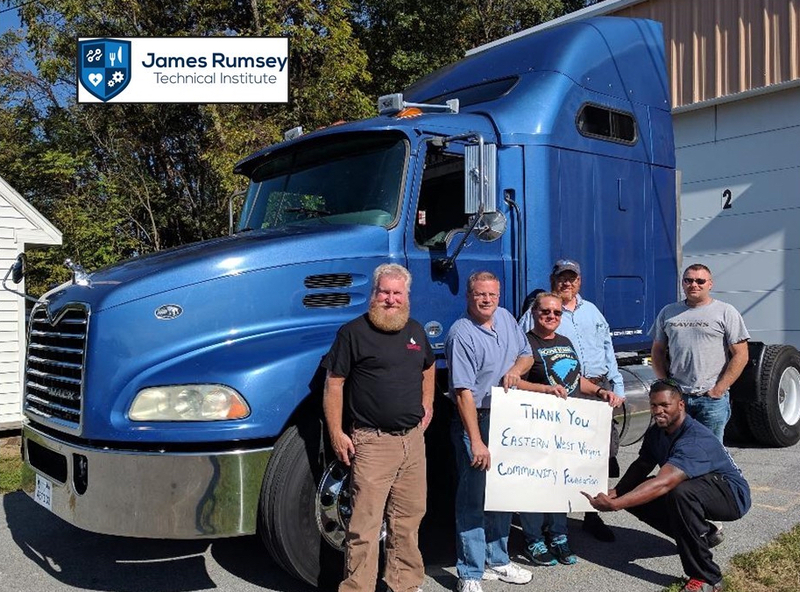 James Rumsey Technical Institute received a $12,000 grant from the Berkeley County Industrial Park Development Fund in 2017 to pay for 1/2 of the cost of this road tractor for the Truck Driver Training Program. Deadline to apply is July 31. All grant-funded programs must serve Berkeley County, West Virginia. A total of just over $30,000 is earmarked for this year’s grants, which generally range from $2,000 to $10,000 each. DOWNLOAD APPLICATION AND INSTRUCTIONS HERE. To learn how to become a member or for information about programs that have been funded in the past, visit the Two Rivers Giving Circle web page. The Eastern WV Community Foundation is awarding a limited number of Kings Daughters Senior Citizens Charitable Fund grants during the summer of 2019. This Fund was established to assist nonprofit organizations that provide elderly persons with housing facilities and/or services specifically designed to meet their physical, social, and psychological needs, and to promote their health, security, happiness, and usefulness in longer living. Preference is given to projects or programs based in Berkeley County, West Virginia. However, grants may also be awarded for projects or programs serving Jefferson and Morgan counties of West Virginia. A Letter of Inquiry (LOI) was requested as the initial step in the grant process. Submission of an LOI did not guarantee formal consideration for funding. Only those organizations selected by the Grants Committee will be invited to submit full proposals. Deadline to Apply for the 2020 Competitive Grant Program will be early December of 2019. Grant applications and guidelines will be posted here on October 1st. Grant programs listed below will be funded in 2020 and others may be added as new funds come online. Approximately $90,000 in Youth Grants will be awarded to 501(c)(3) nonprofit organizations serving Jefferson, Berkeley, and/or Morgan counties. Our Youth Grants fund educational, athletic, academic, social, civic, and community-based programs serving children in the Eastern Panhandle. Several fields of interest funds, including the Tom & Virginia Seely Children’s Fund, the C. Scott and Elizabeth C. Shade Youth Fund, and the Jane P. Snyder Youth Fund underwrite these grants. Nonprofit organizations, pre-schools, and public schools serving Berkeley County are eligible to apply for a total of $20,000 in grants from the Frada Fine Berkeley Education Fund to support tutoring programs, help develop preparatory skills, assist mentoring programs, provide necessary nutrition to encourage learning, and fund small capital needs within the schools. Special thanks to BB&T Wealth for establishing this fund with the community foundation and for providing continued financial support. Nonprofit organizations that address homelessness and/or affordable housing with an emphasis on those serving high need populations and underserved regions of the tri-county area of Jefferson, Berkeley, and Morgan, will share $5,000 in EWVCF Housing Grants, which are supported by the Housing Action Fund that was created by Dan Ryan Builders in 2005. The majority of the funding for these grants comes from the Joan Roach Volunteer Fund for the Needy. This program supports Eastern Panhandle nonprofit organizations that provide assistance to sick, needy, dependent, neglected or disadvantaged persons. Approximately $7,000 will be awarded. Nonprofit organizations serving Jefferson, Berkeley, and Morgan counties can apply for grants from the Eastern Panhandle CARE Fund to support healthcare programs that provide access to affordable, high-quality, patient-centered care, and empowerment through health education, and connection to community resources. A total of $25,000 is available in this grant program. Historic cemeteries in Jefferson County, interested in the maintenance, repair, restoration, preservation, and beautification of Civil War era graves and burial plots can apply for a total of more than $14,000 in grants from the Helen Parker Willard Fund. CALL 304-264-0353 WITH ANY QUESTIONS!